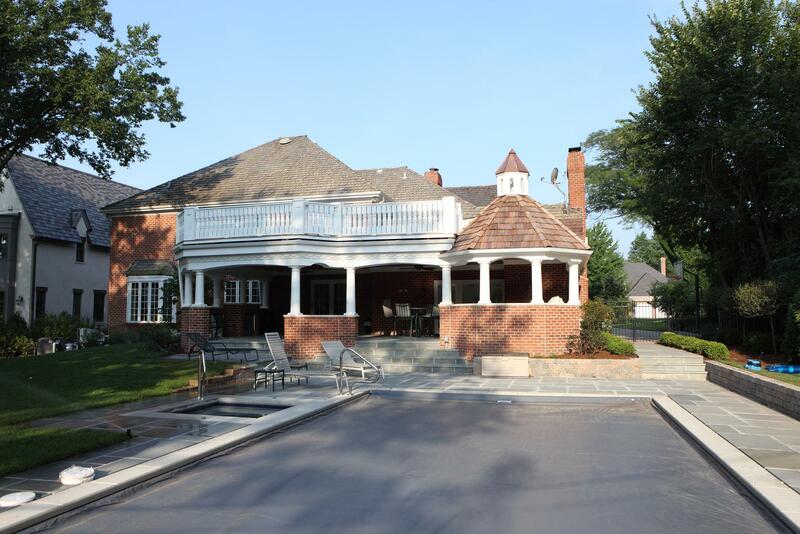 After completing an entire second floor renovation project in this Hinsdale residence in 2009, the client retained Battaglia Homes again in 2011 to build this spectacular pool house. 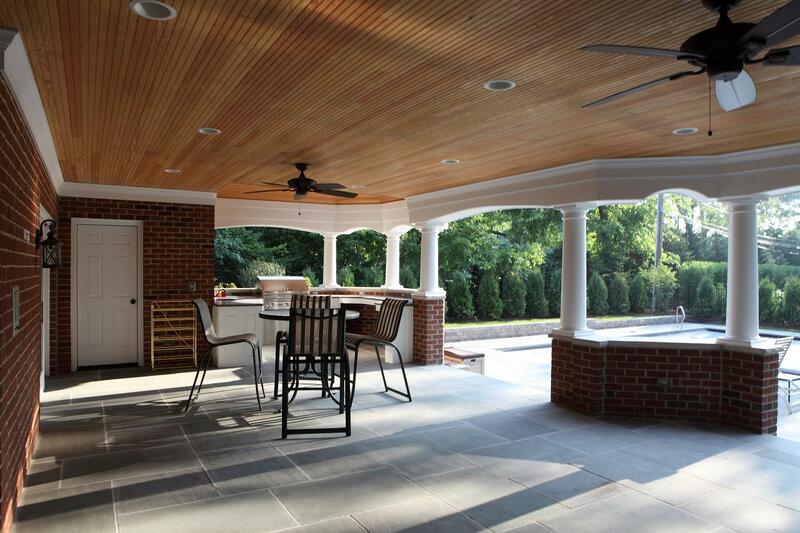 The project consisted of construction of an impressive pool house using materials and construction techniques to create a seamless match with existing home, an in-ground pool and an in-ground hot tub. 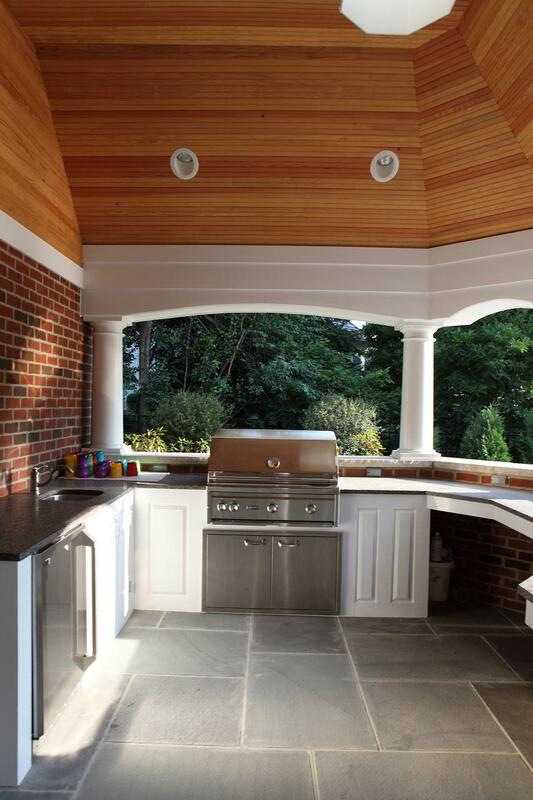 The pool house is fitted with a custom kitchen area complete with custom cedar cabinets, refrigerator, grill, sink, granite counter tops and bathroom. Some of the other dramatic features and amenities include cedar dental molding trim, cedar shake roof, decorative cedar balusters, a decorative cupola with copper roof, bead-board ceiling, a fireplace, brick pavers and blue stone throughout. In addition to building award winning custom homes we at Battaglia Homes are proud to be one of the best general contractors for larger renovation projects in the western suburbs of Chicago. Contact Battaglia Homes today at 630-669-4280 to get ideas and information about your renovation and remodeling projects.